The Big 2017 Content Marketing Spend #Infographic ~ Visualistan '+g+"
Will content marketing be a hot form of marketing, more so than ever this year? The answer, in short, is YES! According to a hot 2016 BuzzSumo content piece, the future of content is more, not less. Platforms like The Washington Post publish thousands of posts each day, and Google increases its number of indexed pages by the millions each year. It’s clear that content is booming, and that it shows no signs of slowing down in 2017. 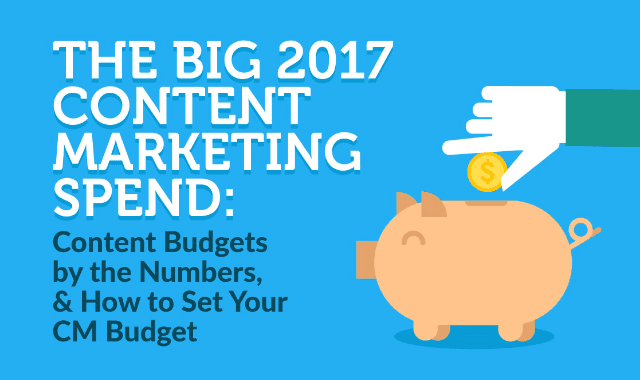 If content is growing this fast, though, what will content marketing budgets look like–and how do you set yours?